Late last week, the proposed 505 George Street development in Sydney was recognised at at the MIPIM annual global property exhibition in Cannes, France. 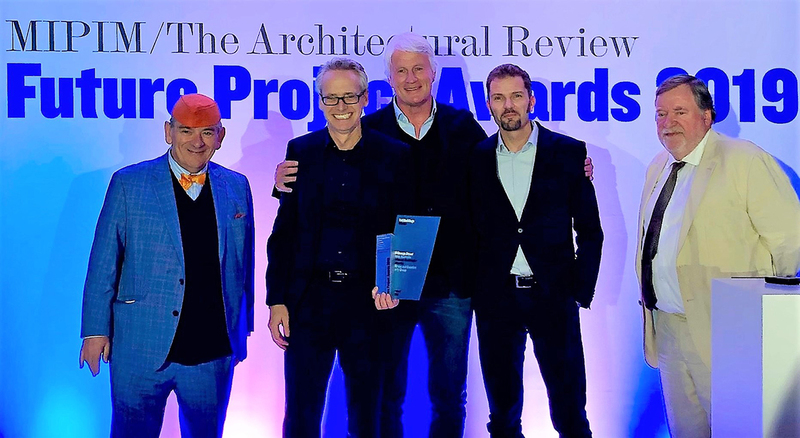 A collaboration between Architectus and Ingenhoven, 505 George Street was awarded the respected MIPIM Architectural Review Future Project Award for Tall Buildings. 505 George's Street's commanding position within Sydney’s Central Business District resulted in a facade design which maximises outward views of the Harbour and city skyline. The facade is expressed as an elegant glazed envelope with vertical columns arranged around its perimeter external and projecting solar shades. The project has been designed with consideration of its energy consumption, as well as its environmental impact, aligning with Architectus and Ingenhoven Architects’ supergreen® sustainability aspirations. 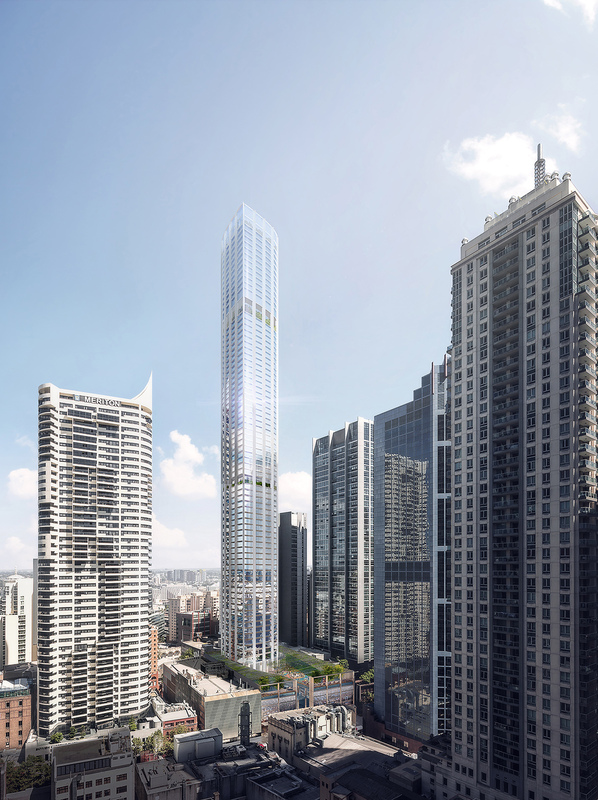 Pending approval, 505 George Street will rise 80-storeys for an overall height of 270m - making it the highest residential building in Sydney. For reference this would be as tall as the recently topped out Aurora Melbourne Central at the northern end of Melbourne's CBD. “We are incredibly proud for this transformative project for Sydney to receive such a prestigious award. Both Architectus and ingehoven share a passion for sustainable design and complex urban projects of which 505 George will be an exemplar. It will be a low energy high rise building with a combination of different functions, including proposed luxury serviced suites, a roof-top restaurant and bar, residential apartments, potential boutique cinema, retail, conferencing facilities, a childcare centre and a meeting room facility for Council. “This award means a lot to me—our two practices share this success. We already successfully cooperated with Architectus on 1 Bligh, Australia’s first really green office tower. For our latest team project at 505 George Street we are again aiming for an ambitious benchmark in terms of sustainability.